Description: Usually solitary or slowly branching through basal shoots. Areoles: At the apex of tubercles, at first are covered with yellowish-brown felt. The lower part of the areola is elongated while the upper part curves around the sides of the rib, more or less in the shape of a small shield. As the tubercles widen in the course of growth, the areoles become elliptical and almost glabrous. Spines: 5 to 10 radial spines and 1 to 4 central spines, they are all more or less of the same length in a given plant (± 0,5 -3 cm. ), but this species appears to be very variable about the length colour and number of spines in different population. They usually are black or light brown at first, becoming grey or whitish-yellow as they ages. 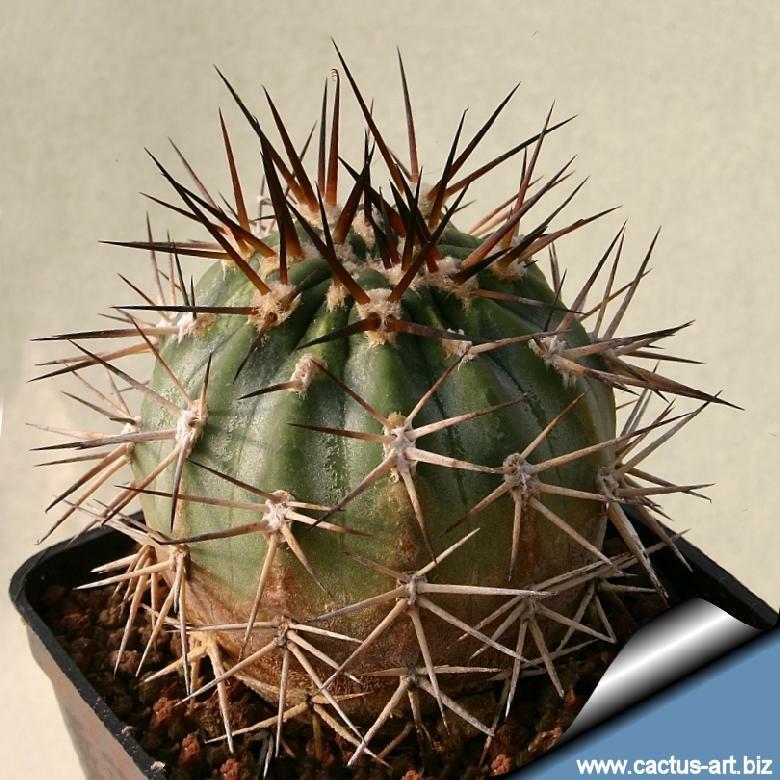 Cultivation and Propagation: Echinopsis grisea is an easy to grow succulent, more cold tolerant than most and less fussy regarding soil conditions.